Comerica Park - Welcome to Brain Care Law! I hear often from families that they want to take their loved one to a ballgame, but are concerned about accessibility. I have the same concerns with Dad, but identifying the right seats is key. Dad does not like crowds or loud noises. He needs access to a bathroom, usually without notice. If I take my eyes off him, he may wander away. I found two seat types that work for Dad: The Champion's Club and the Club Level Seats. 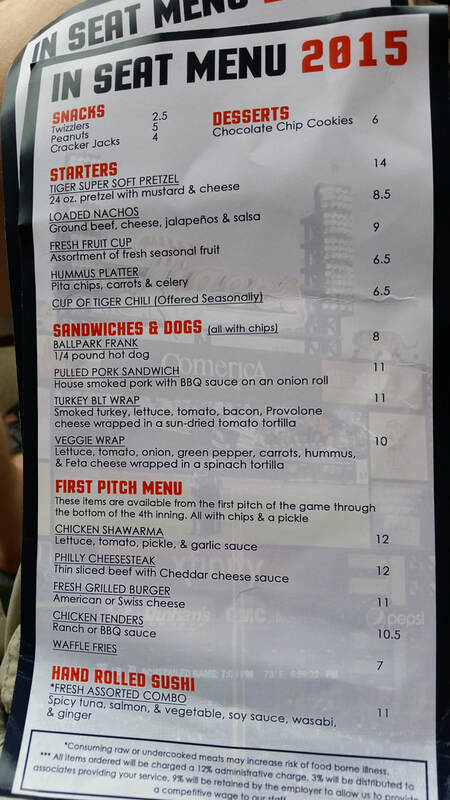 The Champion's Club offers a buffet-style meal before and during the game. There are 116 seats outside, accessible only to Champion's Club ticket holders. There is a private bathroom. By parking in the parking garage and taking the sky walk, we can avoid the crowds and loud noises. ​Each seat section has six seats. This allows Dad to quickly get to the bathroom rather than being sandwiched in the middle of a row of 20 seats. The Club Level seats are slightly less expensive than the Champion's Club. Club Level seats are closer to the field, but lack access to a private bathroom. The closest bathroom is in the Tiger's Den, which requires a walk through the busy, loud concourse. On the other hand, the seats are further apart and only two per row, which allows for some quietness over other seats. The food choice is limited, but the food is brought to your seat. Expect to pay greatly for this service due to an administrative charge of 12%. While it is expensive, the alternative is navigating the loud and crowded concourse level to reach the food vendors. I know how hard it is to carry the food for both yourself and your loved one, and anything that makes your outing safer is worth the cost.